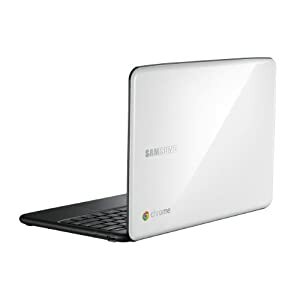 It's been over four months since I took delivery of my Samsung Chromebook, the first commercially available computer using Google's Chrome OS, the lightweight operating system in which applications and data come from the cloud rather than the local device. So, how is it to live with every day, and see the benefits and shortcomings firsthand? Is Chrome OS a legitimate way to live and work with your computer? In a word, yeah, it is. This is a fairly short article, because for the most part, Chrome OS just works. I don't feel deprived by using a lightweight operating system, despite the fact that a good part of my work involves writing and creating graphics for blog articles. My action item advice for any enterprise that's curious about Chrome OS: do a pilot, even with just a few of the leaders of your IT division and your main lines of business. The idea will reveal its value to you through use and iteration. You will justify it because of potential cost savings, but you'll deploy it because it makes lives better and work more productive. Web-based applications: I now use Google Apps exclusively to write and create graphics and presentations. All of their services are being improved very quickly, and if you haven't tried Google Apps lately, I think you'll be pleasantly surprised. There is a new look to the interface across the board, which I'll call "post-imitation-3D." Shadows around buttons are gone, so are brightly-colored icons that look like jellybeans and the like. It's very professional in appearance. Where I live online: Faceboook, LinkedIn, TweetDeck, Google+, news sites, the infrics.com site and composition area, all are fully functional and there is no sacrifice. But there is a benefit. One morning I spilled my whole cup of coffee right on the keyboard of the Chromebook. It spluttered, zapped a bit, and shut down. "Oh, (expletive!)" I did not want to replace a $500 machine so soon after I bought it. But to keep working, I just booted up my regular laptop, launched the Chrome browser, and was right back to work, every word I had been writing saved to the cloud in the background. The idea that everything you need is available everywhere you are, on almost any machine, is truly transformational; it deserves much more attention in the enterprise and the marketplace. By the way, both Google docs and Gmail now have offline capabilities that allow for limited use in the rare cases (like on some flights) where you can't reach the internet. Not perfect yet, but getting much better. Which leads me to Samsung's Chromebook as a machine. The actual device is somewhat less robust and less satisfying than it should be for a primary business tool. Key action is a little too cheap-feeling, the materials are a bit low end, and I find the no-button trackpad (right click requires tapping the trackpad with two fingers, for instance) gives me less control than I'd like. The very bright display continues to be great, and the long battery life has become my expectation; charging the laptop and using it all day on battery just feels like the way things should work. But I want a bit more class; simple does not need to mean cheap. However, I am pleased to report that after the coffee spill incident, I left the machine open, on its side, in the breeze of an air conditioning vent at home for two days, hit the "on" button, and it came right back. It has continued to work flawlessly ever since. Finally, what about Chrome OS in general. I'm very impressed. The background updates have spoiled me; when I have to launch a regular computer and wait (and wait and wait and wait...) for updates to run, that just seems terribly old fashioned. When it takes 90 seconds or more to get booted up and online, I know there is no longer any reason to put up with that. In August, I went to Google's home campus and met with a team leader from the Chrome OS-for-enterprise effort. He told me that a growing number of enterprises "get it," and they are some of the strongest advocates. Fast and easy are my new normal. It's not that the fat-OS world is awful, it's just no longer worth it. Anything else? I have to say I fear Google's commitment to Chrome OS has yet to be proven; the excitement and discussion around Chrome OS has been lost in the volume of news about Android and Google+. Will it become the next Google Buzz, and be quietly killed off later? With the explosion of tablet computing, when will that form factor enjoy the stateless computing benefits of Chrome OS, or will it forever be Android? Android is maturing rapidly, but still suffers the fat-OS limitations of locally-installed software, locally-maintained data, and the need for updates to both OS and applications on a regular basis. Google pointed out to me that both Apple and Microsoft maintain separate OSes for their mobile platforms--but that fails to answer the question, "why not stateless everywhere?" One area where the Chrome OS idea has yet to be used to full advantage is price. With powerful conventional-OS laptops competing in the same price point, there is really no justification for the Chromebook to cost $500. The Acer WiFi-only model is $349. I think there could be explosive growth in the stateless idea when the lower cost benefits of the simpler model make it to the bottom line that consumers (individual and enterprise) pay. Please feel free to contact me with questions about my experience, or share your own in the comments.